Each FSE can add his appointments like holidays or other non working times. These appointments are visible when planning orders. 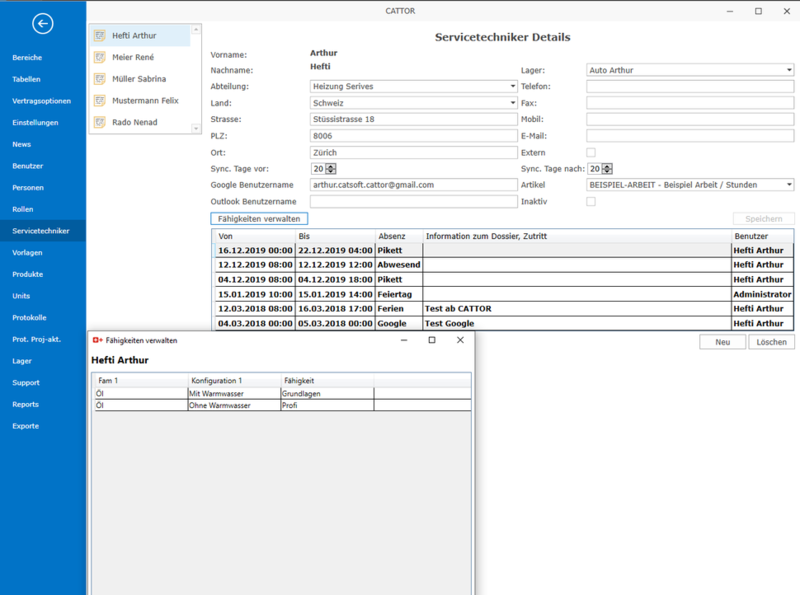 CATTOR can synchronize the appointments and scheduled services with the google calendar of the FSE. CATTOR can maintain a skill table for each FSE that makes easy picking the FSE with the right skills for an order.